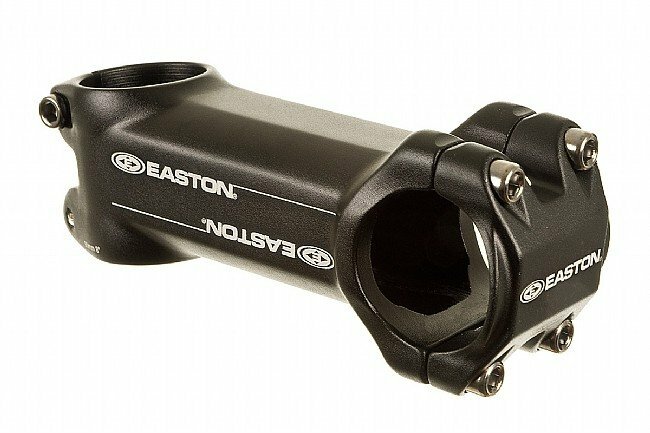 The EA50 Stem delivers 'trickle down' technology from the top of Easton's line for great performance at a slightly heavier weight and much lower price. 3D forged 2014 aluminum is extremely durable for reliable performance on or off road. Available in a large range of lengths and 6º or 20º rise angles for a perfect fit on virtually any bike. 1-1/8" steerer clamp. 31.8mm handlebar clamp diameter. The EA50 Stem is available in various lengths and features an 8º rise. Black anodized. 175g (120mm).